People have long been predicting its demise but now, according to experts, the death of the beard is finally a reality. Full-on facial fuzz was said to be the defining facial hair of this generation, but after reaching its peak back in 2013, it looks like men are starting to reduce their burly beards for a more streamlined look. “Since Ricky Hall, the male model, landed on Instagram the big beard trend took off at a phenomenal rate,” said Lloyd Hughes, creative director and lead educator of men’s grooming brand menu. “Not only did the pop, celebrity and sporting world follow suit but so did the general public. As stylists we were seeing huge transformations from clean cut fresh faced fashionistas into big bearded hipsters. In fact, 8 out of 10 of these men had facial hair, so what’s changed? “Fast forward four years and we can now see a massive shift back to more of a stubble or even clean shaven,” said Hughes. 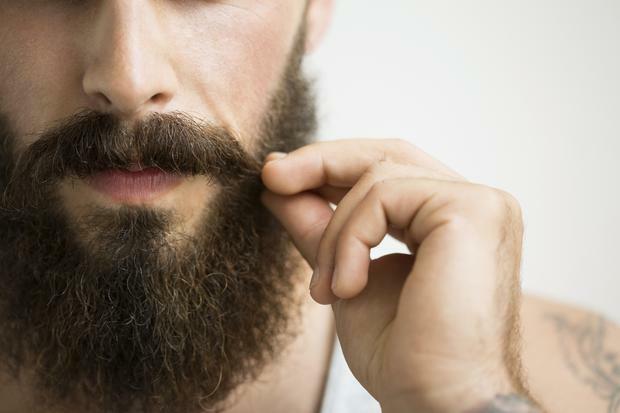 “What’s very apparent is that the ‘big beard’ trend is on its way out. Men first favoured a much closer, cropped beard and are now opting for a very short stubble. It looks like the days of a fashionable hipster beard are numbered after all so reach for the razor and ditch that woolly face-jumper once and for all.